Every one desires to have beautiful and shiny hairs as it enhances our beauty and confidence level s we are going in a gathering so it’s very essential to keep the hairs beautiful. 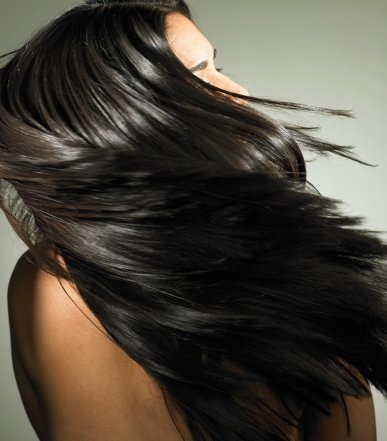 Hairs are made of protein and it’s important to take care of your diet to maintain the structure and texture of hair. As fashions are changing day by day everyone wants to adapt new hair styles and these styles strip the moisture and natural shine of the skin so it’s very important to take hair treatment of the hairs. after eating good and healthy diet there are many other cares that one should take to protect the hair from breakage and denaturation. One should always use a good quality shampoo for hairs and should wash the hairs after two days with the shampoo, use of shampoo every day is also not good for hairs so shampoo should always be used after every two days. Shampoo should be of good quality and should not contain any sulphates and parabens. These are the chemicals and preservatives that cause irritation and damage the skin of head and affect the structure of hairs both these chemicals are not good for hairs and always use a shampoo that suits your hairs. There are a number of homemade remedies that one can use to keep the hairs in natural appearance and shine, one of them is the use of egg mask that is a good source of protein for hair and it gives the skin a natural appearance and provides the skin with diet. Use of yogurt is also a good remedy for hair it makes the hairs healthy and soft and provides all essential nutrients for the skin. Take as much yogurt in your diet a possible and also apply it on the hairs before bath. Another nutrient that is used to avoid hairs damage is the use of mayonnaise and avocado this are made of oil and fat, these provide the skin miniaturization and shine. Mix two spoons of mayonnaise and avocado and apply it on the skin at the damaged ends it will work as a homemade conditioner. Some people whose can afford also wash hairs with milk it gives the hairs smoothness and shines and provides the hairs from damage. Home mad remedy that is used for oily hairs is solution of two spoons of aloe Vera gel, lemon juice and a spoon of mild shampoo and mix all these and apply on the hairs during washing apply it for 15 mints and then rinse the hairs. Remedy that is used for dry hairs is paste of egg yolk and apply it on the skin for 15 mints and then rinse with cold water. For normal hairs a healthy and balanced diet is very essential. Hairs become dry due the extra use of chemicals, gels and chemicals another cause of dry hairs is zinc deficiency. So it’s better to keep the hairs healthy. Natural homemade remedies are being used these days for the purpose of hair care.